TURIN - Fiat S.p.A. could raise its stake in Chrysler to 46 percent from 30 percent now by June, two persons with direct knowledge of the matter told Automotive News Europe. Talks with international investment banks on refinancing Chrysler's debt with the U.S. and Canadian governments are at an advanced stage, paving the way for Fiat to buy a further 16 percent of Chrysler by the end of June, the Italian newspaper Corriere della Sera reported on Thursday. "This is the real goal Sergio Marchionne is working at," the paper said. "He wants to do it by June. He might be able to do it a bit earlier." 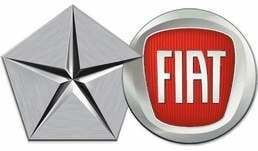 A Fiat source told ANE that "it is technically possible" for Fiat to get to 46 percent of Chrysler by June. Whether Fiat raises its Chrysler stake depends on how talks with the banks turn out. On Monday, Marchionne, who runs both Fiat and Chrysler, said the U.S. automaker would refinance its onerous U.S. and Canadian government debt by June. Also on Monday, he confirmed that Fiat wanted to get a majority stake in the U.S. group by the end of 2011, but did not elaborate on the steps needed to achieve this goal. According to Chrysler's April 6 filing with the U.S. Security and Exchange Commission in preparation for an eventual IPO, Chrysler must reduce its debt to the U.S. and Canadian governments to below $4 billion for Fiat to increase its Chrysler stake to 46 percent. Chrysler currently owes the U.S. and Canadian governments $7.4 billion loaned in June 2009 when the automaker exited bankruptcy protection and Fiat took management control. Before Fiat can take a majority stake in Chrysler, the U.S. automaker must fully pay off the government loans. Fiat may pay $1.14 billion to exercise for an additional 16 percent of Chrysler if Marchionne makes the purchase in 2011 and $1.37 billion if he buys it next year, according to JPMorgan Chase & Co. analyst Ranjit Unnithan. Fiat would also have to renegotiate a so-called 'Incremental Equity Call Option' to buy an additional 16 percent stake in Chrysler. The option currently is set to begin on January 1, 2013 and elapse on June 30, 2016. Philippe Houchois, head of European auto research at UBS in London said: "There is a lot of flexibility in the contract to achieve control of Chrysler, so Fiat could exercise its 16 percent call option if it reduces the loans to below $4 billion." It could then wait for the full loan repayment before receiving the last 5 percent stake needed to reach a controlling 51 percent, he said.